A perfect hidden GEM in the heart of the city and across from VGH! MINT move-in condition. 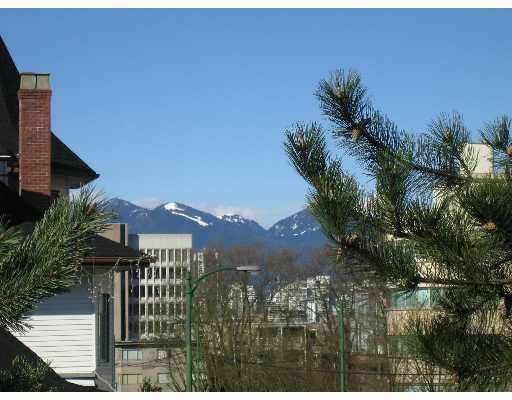 Enjoy the MOUNTAIN VIEW from this TOP FLOOR CORNER UNIT. Beautifully renovated throughout, OAK kitchen, with some HARDWOOD floors & INSUITE laundry. Bring your house-sized furniture to this lovely 2 bdrm, 1.5 bath, 1028 sq ft show home. BBQ this summer on your private wrap around deck. You'll be right at home here! Maint. fee includes heat & hot water. Mansard roofs to be replaced in '07 and all paid for. 1 cat or 1 dog OK, no rentals. Don't miss our open house Sunday April 15th, 1-4pm.